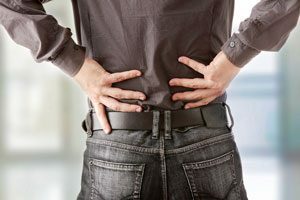 Contact Glacier Chiropractic for back pain treatment in Ballard, Seattle. Our chiropractic clinic sees patients suffering from back pain that stems from a variety of causes. Walk-ins are welcome anytime and we look forward to new patients. Through a holistic approach, we aim to ascertain the source of your discomfort and work to treat your condition. Chronic and persistent back pain doesn’t have to control your life anymore. Millions of people across the country are constantly suffering from back pain. Sometimes you may have just slept wrong and pulled or twisted something, other times you may be suffering from a more serious problem that needs to be addressed. Glacier Chiropractic is one of the few places open for walk-in patients and open on weekends for back pain treatment in Seattle. We see patients from all walks of life, suffering from separate maladies, and that have been in pain for varied periods of time. Chiropractic care may be an option to consider for the continued management of back pain. Come see what we can do for you. There are numerous causes of back pain. The roots of the pain include infections, tumors, acquired conditions, diseases, injuries and mechanical problems. Back pain is typically thought of as a symptom of a greater medical condition. Although sometimes the diagnosis of that condition can elude those in search of a definitive cause. Mechanical problems – are typically associated with the way the vertebrae in your back move. Injuries – include sprains and fractures, either of which can cause short-lived or chronic pain. Acquired conditions and diseases – include things like scoliosis, kidney stones, osteoporosis, arthritis and spinal stenosis. Infections and tumors – the least common causes of back pain include illnesses such as osteomyelitis or cancer. At Glacier Chiropractic, we offer back pain treatment in the Ballard neighborhood of Seattle. Don’t let the relentless pain in your back keep you from living your life to the fullest. Walk in today to be seen immediately, we are here to help.